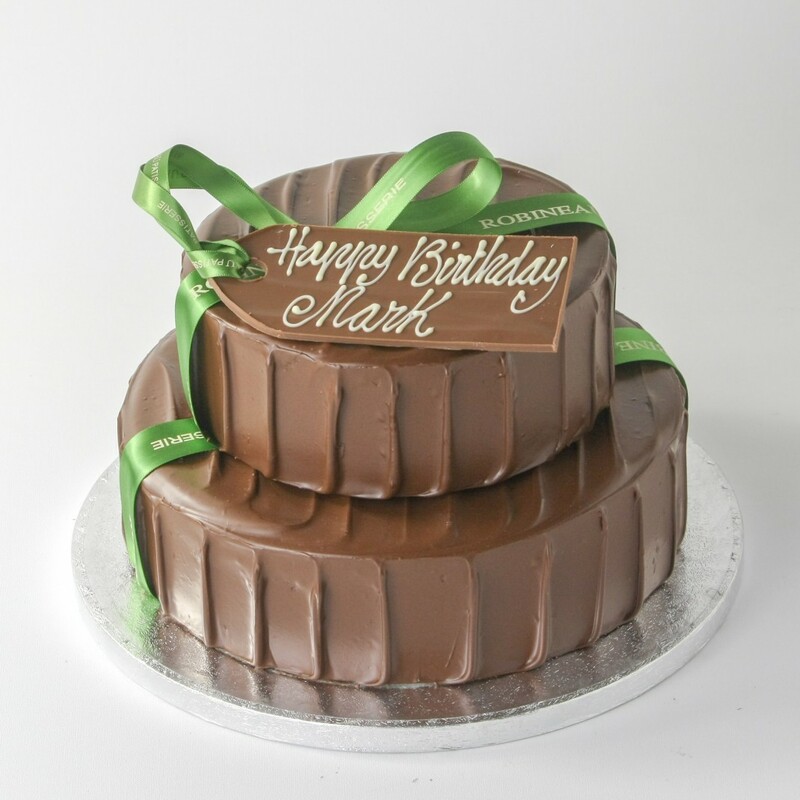 Our famed chocolate gateau using layers of chocolate sponge and dark chocolate ganache is quite simply mouth watering. 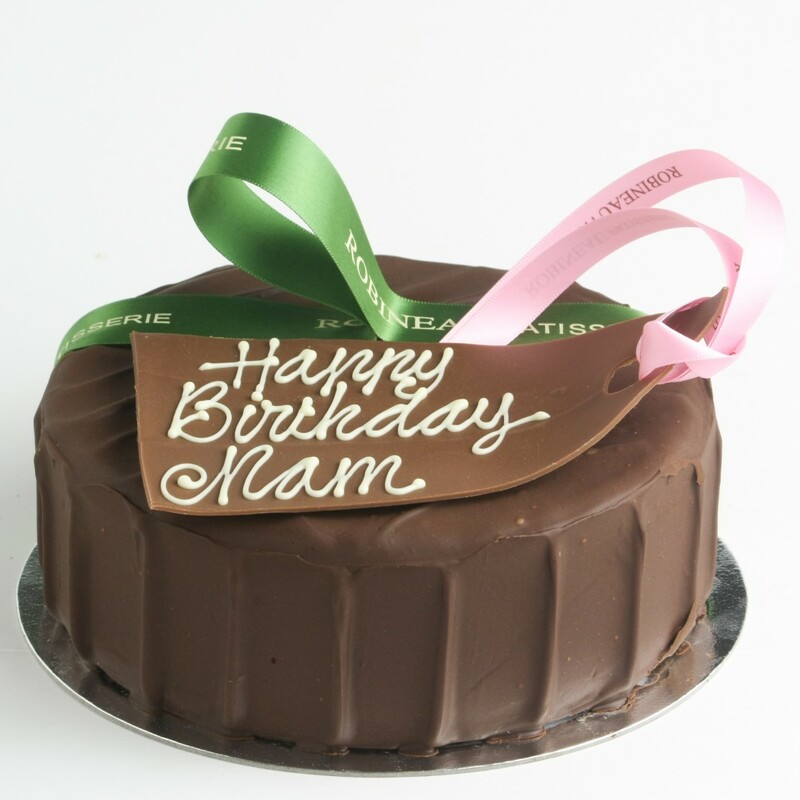 Our ganache is made with fresh cream and dark chocolate (min.55% cocoa solids). 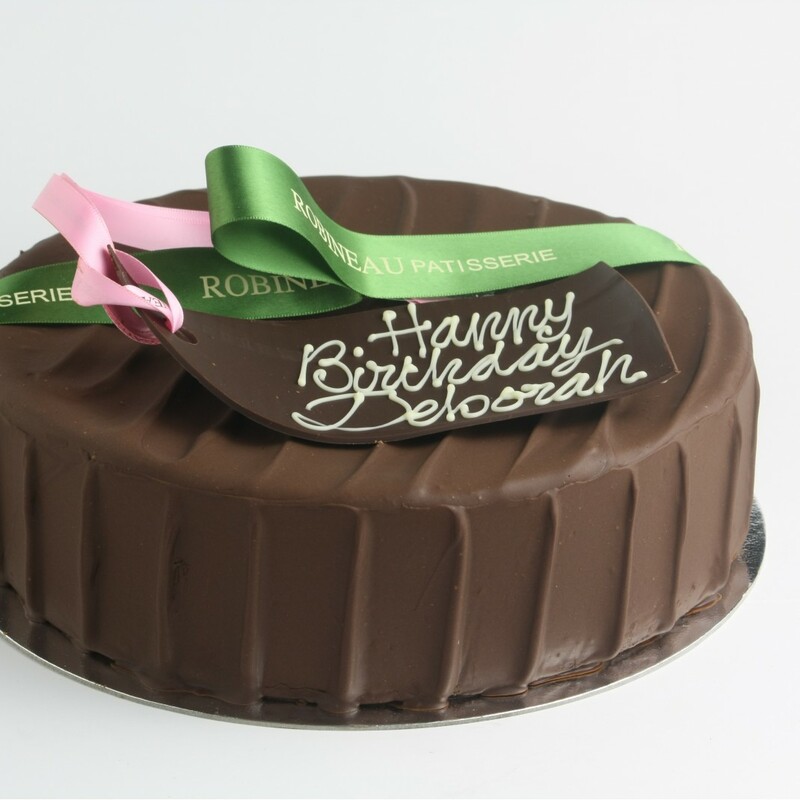 Decorated with branded Robineau ribbon and finished with a chocolate tag with an inscription of your choice.